There is no better time than winter to enjoy the big game with a group of friends. With professional games like hockey, football and basketball all in season, as well as college and even high school games being televised, no matter what sport or team you’re a fan of, celebrating the big game day at home or at a stadium can be fun and exciting. Many people enjoy the tailgating aspect of a sporting event and go to great lengths to pack just the right food and drink to have at their pre-game celebration. Other sports fans enjoy spending a nice, warm afternoon with all the comforts of home at their fingertips. An easy crowd pleaser is always the 3’ submarine sandwich. From turkey with cheese to ham or roast beef, there will be plenty to go around the party when you order up one of these loaded sandwiches. Hot wings, mild wings, boneless or not, Buffalo wings are a must-have to serve at any pre-game party and are great finger foods for all through the afternoon. Be sure to serve them up with plenty of celery stalks and blue cheese dips for a tangy and flavorful finger-licking good time! Chili is another must-have tailgating treat, so much so that many pre-game tailgates have chili cook-off contests. The warm temperature, hot flavors, and filling consistency are the perfect combination for those cold days out at the stadium. Make sure you have plenty of crackers or bread and butter to make a meal out of this favorite. Pulled pork sandwiches offer the best of the BBQ, but are contained in a sandwich style bun. This is an easy take-with-you kind of BBQ because you can wrap them individually in foil. Many sports fan have made pulled pork sandwiches their go-to big game meal. Hamburgers and Hot Dogs are a good stand-by for any game day. Grilling can be a great way to spend some pre-game time with friends enjoying typical summer fare during these cooler days. Coupled with all the fixings and sides, like chips, pickles, potato salad, and macaroni or cole slaw, hamburgers and hot dogs are another great big game menu item. No matter what food you choose, or what teams are playing, celebrating the big game with friends and family is sure to be a great time. But not everyone is so eager to put on an apron and fire up the oven or grill. So instead of spending all your time cooking and cleaning while catching glimpses of the game, you might want to consider enjoying all of your favorite game day foods by Jacques Exclusive Caterers. 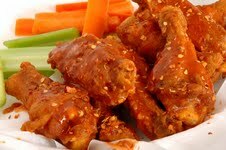 We offer many selections of catered big game foods, as well as party rentals. Click here for our BBQ menu, or contact us today.